Nearly put off for life! I’ve agonised over whether to post this on my blog and put my gullibility/stupidity out into the public domain, but I told myself when I decided to record my travels that it would be warts-and-all, rough with the smooth – something to look back on to remember the many good times, and if it proved to be the case, the not-so-good times. Well, in Beijing, what had so far been a very smooth journey suddenly hit a bit of a pothole. I was scammed – although thankfully, I’ll state early on, there is a happy ending.I can just about laugh about it now, but it very nearly put me off my beloved cups of tea for life! There aren’t many photos, but what follows is my way of a public service announcement, my experience of what happened, how I was taken in, how I confronted it and my advice to anyone travelling to China. If you don’t know me and you’ve come across this page through a search engine, the chances are the same has happened to you and you’re looking to find out what to do about it. Well, along with anyone planning to visit, I feel the following is so important, anyone applying for a Chinese visa should be made to read it before the visa gets granted. If anyone, nomatter how normal, how nice or how genuine they seem comes up to you and asks if they can talk to you and practise their English, do not, I repeat, do not entertain them. Unfortunately, there are quite a few Chinese people around the main tourist sites willing to exploit the friendly meetings and mutli-cultural mix. I was taking photographs of the main gate to the Forbidden City, taking in the atmosphere and watching the crowds filing under Mao’s portrait. Like any tourist attraction, it was really busy. Being on my own and taking photos, I’ve also become used to strangers coming up to me and offering to take a photo for me. As I was holding out my camera trying to self shoot myself in front of the famous landmark, a Chinese girl comes up to me and offered to help. “Ah, you’re English,” she said. And so it went on for about five minutes, general pleasantries and conversation like I have already had with countless other people in the weeks since I’ve left the UK. By now, however, I’m wanting to get on with getting into the Forbidden City, as I had to meet friends at the Olympic Park later that afternoon. I tried to politely say I need to get on and take more photos, and they said they would come with me and help as they like speaking in English. I reluctantly agreed, as they seemed harmless enough and I thought it was quite nice to be helping Anglo-Chinese relations a little by giving two English students a helping hand with their language skills. “Its really busy in the main entrance, you should go to the Forbidden City through the East Gate, there’s not as many crowds,” the shorter one with fewer spots told me. Thinking it was helping me out, and that if they’re off for coffee I’d at least shake them off, I went with them. We turned left down the main street which runs parallel to the eastern wall, still having normal chit chat, when they invited me to join them. Well, it was lunchtime, I’d not had anything to drink, and the thought of a coffee wasn’t a bad one. The girls seemed harmless enough, if a little geeky, and if I’m honest, it was quite fun learning about how one works part time in a Barbie toy factory, how they had travelled on the train to Beijing and they were genuinely interested in my stories about back home and hearing about my travels. It was down this street! “How about this coffee shop here,” she said. It seemed okay, it was a tea shop like id seen all over the place, so in we went. We were ushered into a little room with bamboo all around, and laid out on the table was a fantastic array of Chinese teas of all different shapes and colours. I was given a menu with other drinks, when one of the girls said it’d be nice to try some of the tea. “You drink it with milk back home don’t you, blurrgh,” the girls joked. I’d not tried the proper Chinese teas here yet, so I thought ‘why not’ and agreed. The tea lady then started some weird performance of brewing tea, pouring most of it in a tray, rubbing warm cups over her face and dribbling a little bit into my thimble of a cup. I had a sip of jasmine tea, fruit tea, green tea, black tea, a tea with a funny ball of flowers in it and a number of other teas that came at me at such a pace, that in about 15 minutes I’d probably still only consumed the grand total of half a normal cup of tea back home. “Erm, not fussed really, whichever you preferred,” I replied, thinking I was being a gent. Along came a teapot filled with a weak yellowy tea that was poured into my thimble. For the next 10 minutes, conversation continued. They asked to see photos of life back home. All lines ive heard from so many people on this journey so far (the one about dad was a first, admittedly…sorry dad!) and nothing to raise any suspicion. And then the bill came: 3,260 Yuan. That’s £326. Yes, you did read that right – hundreds of pounds for a few sips of tea. “Oh, it’s a bit more expensive than we thought it would be, we should have checked before we ordered,” one of the girls said, blatantly clocking my suspicions. I took the bill and looked at it. Perhaps I was jumping the gun at thinking I was being ‘done’, maybe the decimal point was in the wrong place or a nought had been added in error – although £32 would have been way out in any case. “Well, don’t worry about paying for us, we’ll pay our share,” the girls said. I told them to hang on, not to pay anything yet and I’ll speak to the manager. Sure enough, biggish female manager walks in and tells me the bill was correct. “For some tea?” I said, voice getting louder and slightly high pitched as the worry of forking out £100 for my share starts to kick in. “We take credit cards,” the manageress firmly says, pointing at a Visa sign on the wall. I’m now starting to think on my feet in damage limitation. One of the first rules is not to hand over credit cards, so even though they’d seen it in my wallet, I told them it was maxed out. “There’s an ATM around the corner,” she helpfully adds. I made up more excuses about how I’d taken money out and my cashcard wont let me have anything else until next week. I knew I had to get out of the situation somehow, and I looked again at the bill. I’d been charged £10 for the poxy satsumas and crisps, classed as snacks; £50 for the ‘tea show’; £5 for each of the 10 or so tea samples, £10 each for the ‘room hire’ and various other charges that my panicked mind wasn’t able to fully take in. 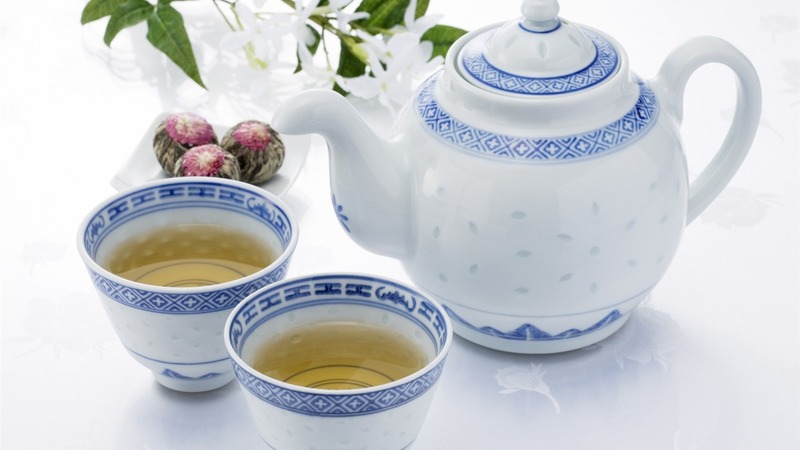 “Tea is a very precious commodity here in China, its valued highly, and you’ve drunk some very rare and expensive tea. You must pay,” I was told. I threw back that I’d not asked for all of the teas and i’d only popped in for one cup, that I thought they were samples first before deciding which one to have, and that there were no prices anywhere, nor warnings given of how much each tea could cost. Then they pointed at a price list which had been turned at an angle so you couldn’t see it from the place I was sat. Low and behold, each tea is listed at 50 Yuan per person. Id been complaining for a while now, and slightly worried that some big burly bloke would come in before long, so I thought id better part with a bit of cash and try to get out of there. Unfortunately I’d been to a cash point the night before and they’d seen how much cash I had. I tried putting 500 Yuan down, but the girls both complained that they then had to pick up the rest of the bill for me that they couldn’t afford, and that they were already helping me out. Naturally, I was feeling a bit guilty – at this point, I was still half thinking they may have been genuinely on holiday too, and it was in fact the tea shop that was cashing in on all of us. Afterall, one had paid on a card and signed the card slip…it all seemed genuine. “Put 600 (£60) in and I’ll see if my card will pay the rest, but you’ll have to treat me when I visit England sometime,” the spotty girl said. I’d got away with not putting all of my wallet’s contents in, so did so, and then made a beeline for the door. The girls said they had to an ATM now as the tea shop had taken all their money, and that I could go around the Forbidden City with them if I wanted. Suddenly, I wasn’t in the mood for sightseeing. I was confused as to what had actually gone on. I suddenly felt humiliated, stupid, ashamed and vulnerable all at the same time. I walked to a place I felt safe – a McDonalds funnily enough – to have some time out and lick my wounds. Were the girls genuine? Had they been fleeced too? Is tea sometimes that expensive? Why didn’t I check the prices? Why didn’t I just walk away after they took my photo? All questions which were rattling through my head at ten to the dozen. I decided, as hard as it was, to put it down to bad luck and a bad experience. But £60 now, to me as a traveller, is a lot of money. Back home, I’d have probably written it off, been in a grump and moved on – but when you’re not earning and accommodation is around £5 a night, it starts eating at you that you’ve basically been robbed of two weeks-worth of hostels in South East Asia. Suddenly, it all became very clear, with exactly the same story and circumstances, and yes, those girls were very convincing criminals. 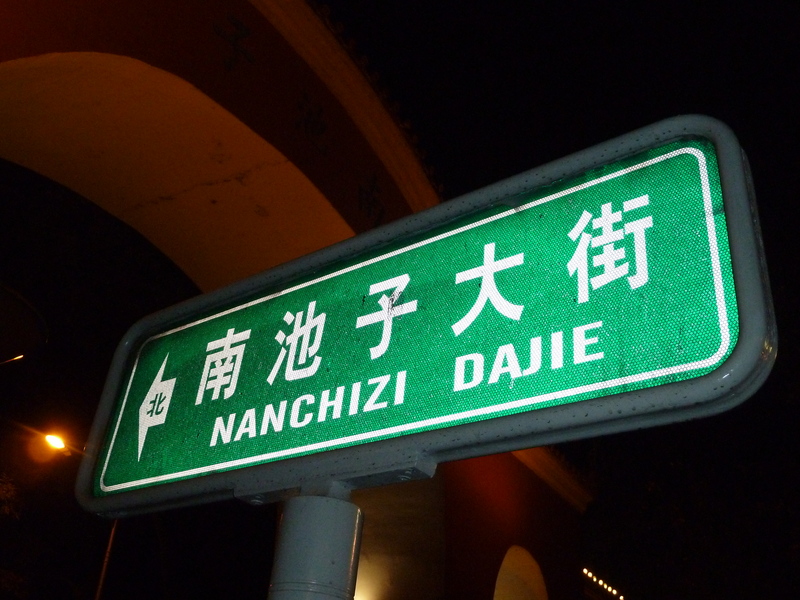 Reading through some of the testimonies, it seems almost everyone that visits Beijing gets taken in by it, and in many cases, for hundreds of pounds. I could console myself that I’d got away relatively lightly – but it still ate away at me. I woke up the next morning feeling better, but angry. I wanted to confront the shop, I wanted to get my money back, and according to the Web, some people had managed it. I contemplated going in and asking for an official copy of my receipt, which by law all Chinese businesses must keep (of course, they wouldn’t have any for their dodgy scam) Failing that, there’s the slighty risky business of getting a photograph of the business and then revealing I’m a journalist. Whatever, I needed back up, and thankfully there was a police post on the corner of the street. The policeman I spoke to could understand a bit of English, but the moment I said ‘tea shop’ his eyes rolled and he asked how much. He told me to wait, and ten minutes later another policeman arrived in a police car. He told me to get in and I explained what happened. He said the problem was rife, and they are trying to get to grips with it, but very few people report it as they are too embarrassed. We drove down the street and I recognised it straight away. The chubby manageress was in the window to see me get out of the police car with my new friend. Her face dropped, and she was already on her way through to the back by the time we reached the door. “What do you want,” the tea lady who performed the show asked, with a sickening smile. “Well, ive been reading all about your little tea parties on the internet, so I’d like my 600 yuan back please,” I replied with a stare. She scuttled off, the copper looked at me and rolled his eyes, and then a familiar looking bill appeared with ‘600’ scribbled on the back. I was asked to sign it, and six red 100 Yuan notes were put back into my hand. The copper said something in Chinese, which I think was along the lines of “I’m watching you,” to the manageress, and we both left. He generously gave me a lift to the Forbidden City, and on the way told me how the scam was damaging tourism but that there were so many people at it, they couldn’t keep up as names were being changed and different people and businesses were starting all the time. He told me it was mainly students trying to earn money. I wondered why nothing was being done to close down the businesses, but decided not to rock the boat. Now my conscience was clear again – yes, I’d been scammed, but because I stood up for my rights, for fairness and for what I believe in, I’d been one of the lucky ones to get my money back. If I was at home, I would have quite happily done a story about it if it had happened to someone else, but in this case I had to fend for myself. It’s a despicable scam that preys on everything a good traveller tries to be – helpful and generous to the locals, open to new cultures and experiences, striking up conversations and relaying stories about life ‘back home’ if asked. But that sets up the platform for the hustle – the pressure to match your new and equally fleeced ‘friends’ at payment, that you are being an ‘ignorant foreigner’ for not knowing local customs if you don’t, and that simply, you don’t know any different. Unless, however, you’ve been lucky enough to read up on it before you go. I almost shied away from writing this and highlighting what I felt was a gullible, stupid mistake I’d made, but I only found out what to do thanks to countless accounts like this one written by others. I can only hope that by putting this online, it will raise more awareness and possibly help someone else avoid the trap. If you’ve already paid out after falling into it, and are reading this after searching for advice, go straight to the police – they were surprisingly helpful for me and are as fed up with the scam as visitors are. 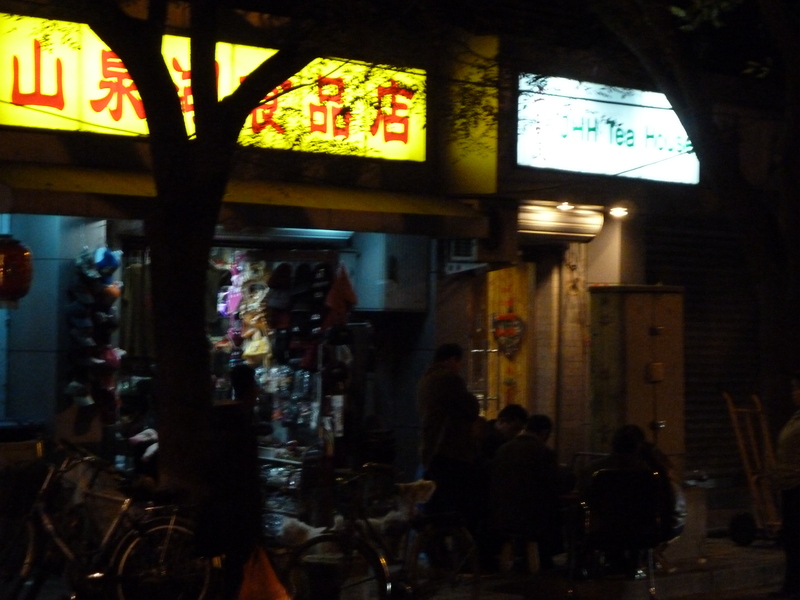 And so, for anyone visiting Beijing (or Shanghai – its common there too) please, don’t visit this shop – even if the expert and totally believable con-artists doing their dirty work really do offer all the tea in China. 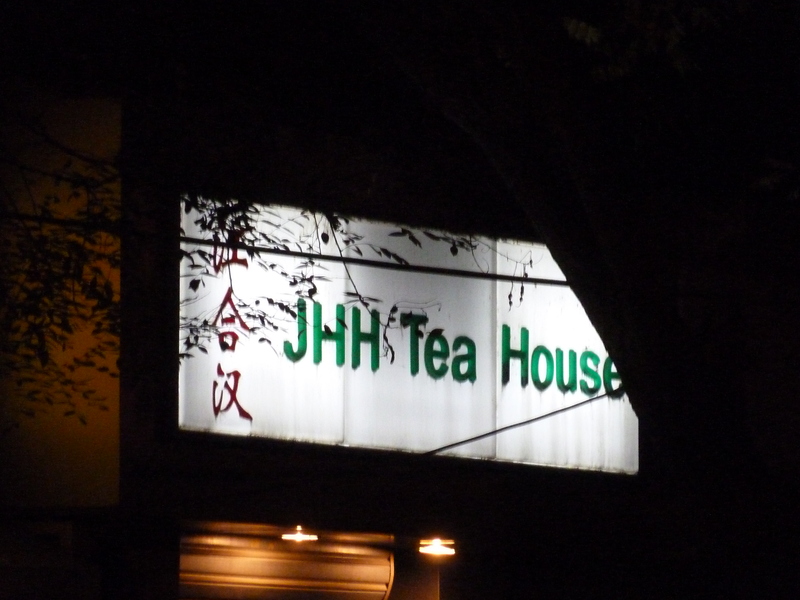 JHH Tea House, Nanchizi Street: Take a bow. As a footnote to this, once you are aware of the scam, the full scale of the problem becomes clear. Walking through the crowds on the way back from taking these photos, I saw two separate groups of Westerners being led towards ‘Tea Street’ by some new Chinese friends and engaged in conversation. I was then approached no less than six times by different people – men and women – asking if I’m English and could they talk to me. 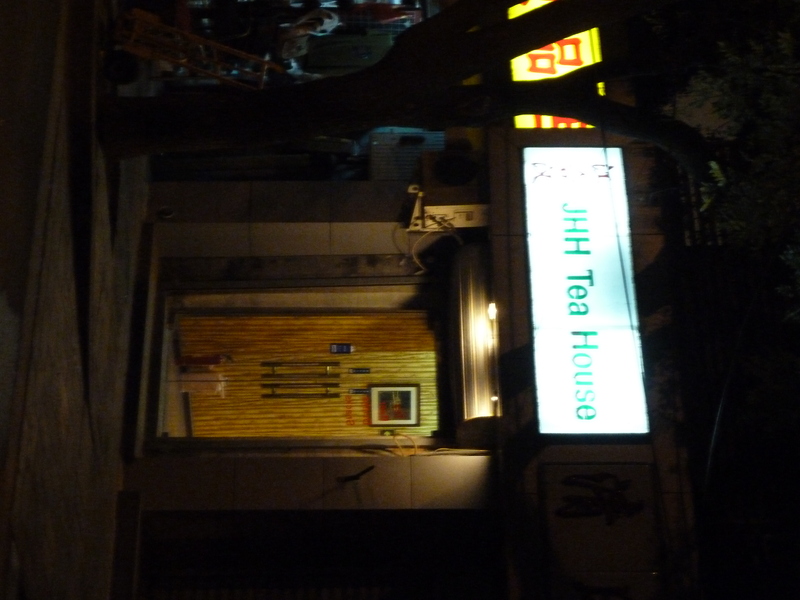 One even brazenly asked if I’d like to go for some ‘authentic Chinese tea’ with her. “You probably don’t have Yorkshire Gold,” was my reply. It gave me some amusement, left her puzzled and laid a ghost to rest. I can laugh about this now, but that’s because I’m one of the lucky ones who fought back and came out of it without any loss. The tea ceremony, as they are known, was actually very enjoyable…and in my case, free. But id recommend going to a legitimate place if you decide to try it. I look back on it as a little bump in this travelling journey – its scrapes like this that make the whole thing a life experience. It’ll go down as one of my traveller stories – but while the Chinese authorities are letting this practice go under the radar, many, many more innocent people will lose vast sums of money, and have holidays and trips of a lifetime ruined. This entry was posted in Uncategorized and tagged beijing, beijing art scam, beijing tea, beijing tea party, beijing tea scam, beijing tea shop, china, chinese police, jhh beijing, jhh tea house, scam help, scammed, shanghai tea scam, tea, tea scam by afishoutofgrimsby. Bookmark the permalink. Good for you, Phil. And don’t let it put you off. Plenty of con artists at home, too! Thanks Billy! The little scamps…picked on the wrong person that time!! You shouldn’t feel embarrassed, Phil. You have met so many people on your journey thus far, and all them seem to have been great. You thought these two girls were exactly the same as the others – even though they were a little annoying! I remember being in Rome a few years ago. I travelled there with an uncle over the Easter weekend. The whole trip was problematic, but on Easter Day, we entered a metro station, and as we walking towards the ticket machines, a group of Albanian women with children in tow were walking towards us. They came very close, and I was annoyed that they deliberately walked in my way. A few seconds later I reached for my wallet, and discovered it wasn’t there. I didn’t feel a thing. I instantly raised the alarm, shouting at my uncle who was ahead of me, “They’ve stolen my wallet. Those women, they’ve stolen my wallet.” Although the guy checking tickets didn’t speak any English, he knew exactly what had happened. I had also watched news reports about the problems Italy was experiencing with illegal Albanian immigrants. My uncle managed to get ahead of me and the guy checking the tickets ran past me. The Albanian women were very cool. They didn’t run, and just shrugged their shoulders, claiming they were innocent of all charges. Then I noticed they had dropped my wallet on the steps, and thankfully nothing was taken. I knew I had my wallet when I walked down those steps, so I knew they had taken it. You have to stand up for yourself. I did, and was determined they were not going to get away with it. You did exactly the same, albeit in different circumstances. If I am ever in China, I will remember your story, and I will also make sure people I know who may be making a journey there are aware of your story too. Apart from that experience, I can see you are having a great time. I’m really enjoying reading about your experiences. You can tell you are a writer, and enjoy writing. When you do eventually get back to Hull, we are going out for a beer or two. I’ll look forward to hearing you recall your stories!